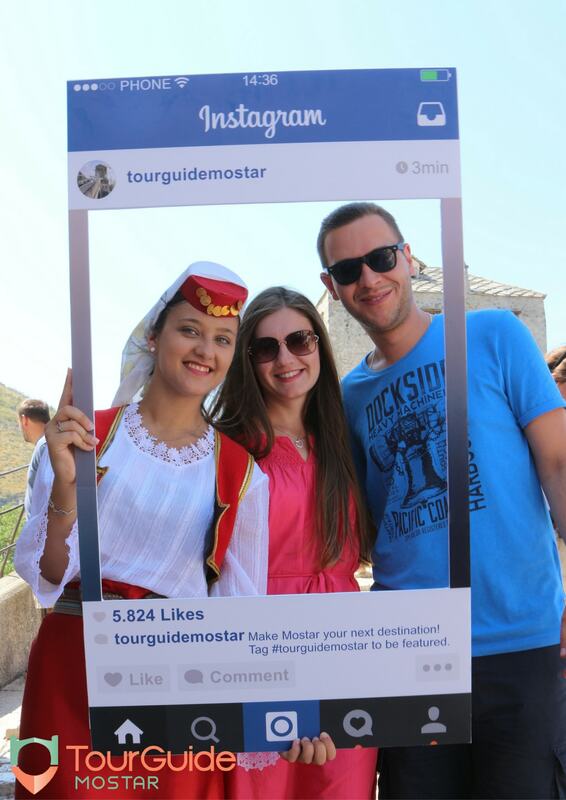 Last week the Tour Guide Mostar team spent time in the Old Town of Mostar spending quality time with the visitors and tourists who came to Mostar. 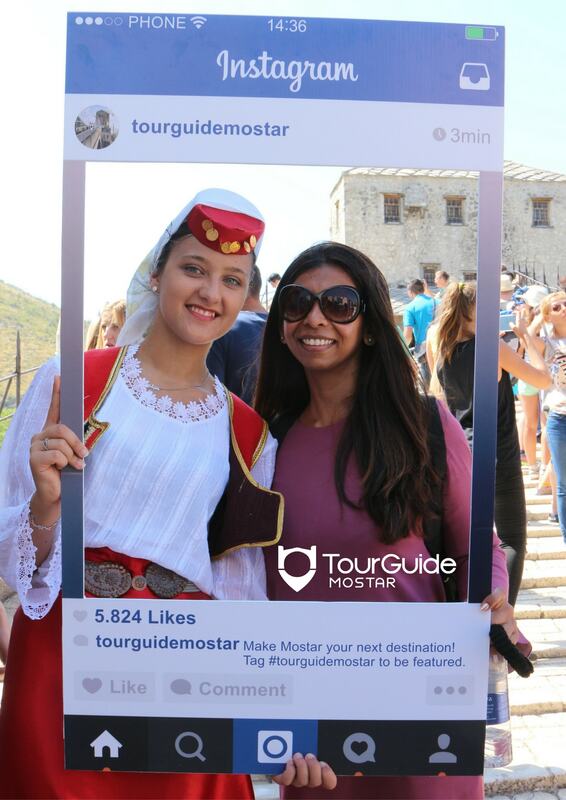 Despite the very high temperatures in those days and strong wind, thousands of tourists from all over the world came to take a stroll through the historic cobblestone streets of Mostar. We caught up and took photos with visitors from seventeen countries â€“ Algeria, Australia, Italy, Kuwait, Croatia, Great Britain, Germany, Poland, Slovenia, Spain Turkey, Bahrain, Czech Republic, Greece, Holland, Serbia and Taiwan. 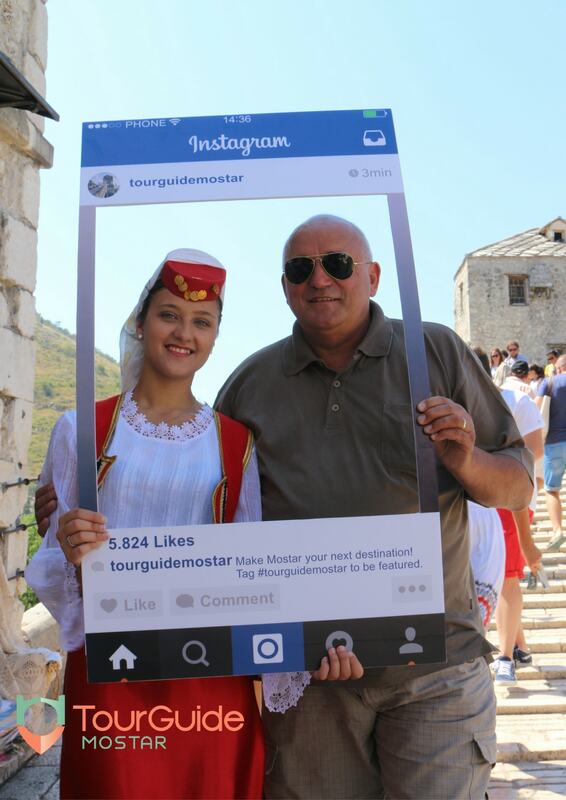 We asked the tourists to take a free photo with us and take joyful memories back home from Mostar. It was a great feeling to gather greetings and smiles of people from all over the world! Most of the tourists came on one day tours from Dubrovnik or Sarajevo, so they stopped in Mostar only for a few hours. Hopefully with great effort and more promotion of our historic hometown, as well as the whole region of Herzegovina, this will become a better location for longer stays from which the tourists will plan one day trips to other places. 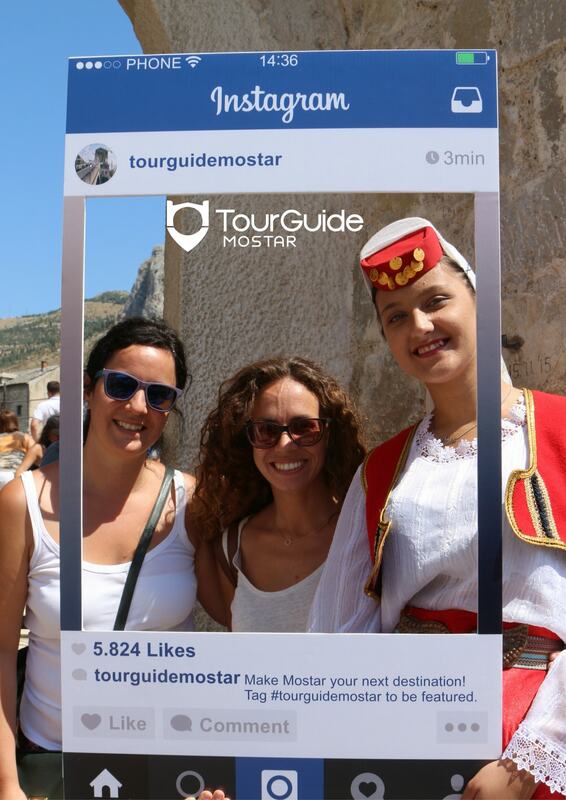 If you see our team in Old Town, take a photo and smile with Tour Guide Mostar. Tag yourself and make memories in Mostar . Check out the whole album and photos at our Facebook profile. 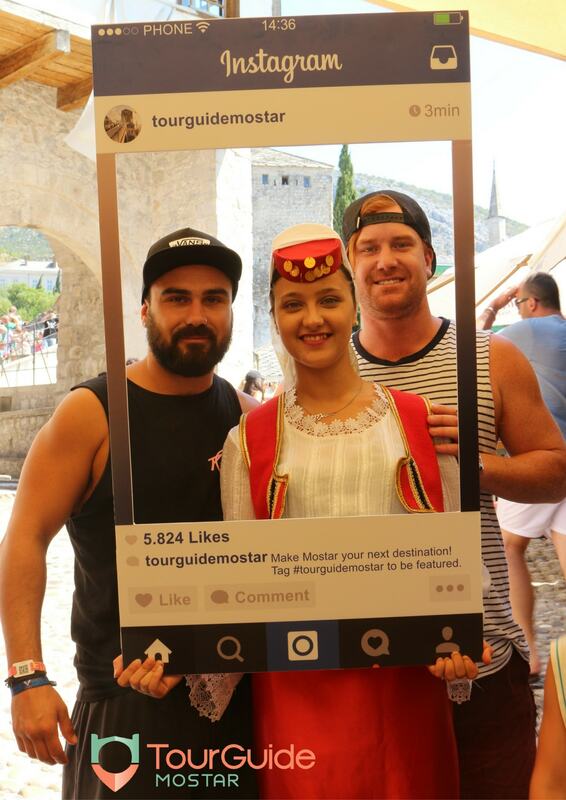 It is important to mention that Tour Guide Mostar as well as all of the including activities have been developed by advertising agency Social Ads Guru. All smiles with gorgeous friend from London! Muchas gracias to these lovely Spanish girls. Our friend Å½eljko KruÅ¡lin-KruÅ¡ka, the singer of Croatian band “Latino”. This was our favorite couple that came from Germany.